Jean “Johnny” Pigozzi is a Harvard-educated (class of 1974) Italian Businessman, Art Collector, Philanthropist and Photographer. He was born in Paris in 1952. Pigozzi lives and works between Geneva, New York, London, Paris and Antibes, France, and Panama, while he also travels around the world. Jean began taking pictures at the age of seven. Since then, he never stopped photographing everything around him, which meant friends, dogs, icebergs, himself and a great many celebrities. His first solo exhibition of photography was at Musée d’art moderne, Paris. 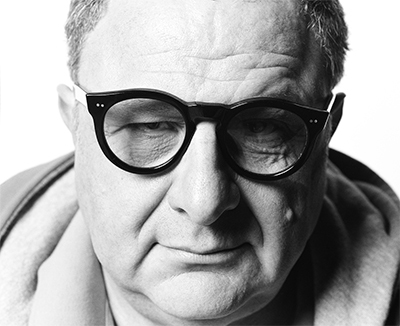 His photographs have since been shown worldwide; exhibitions of note include “Pigozzi and the Paparazzi” at The Helmut Newton Foundation, Berlin (2008); Les Rencontres D’Arles Photographie, Arles (2010); “Johnny Stop” at The Gagosian Gallery, New York, The Moscow House of Photography, Moscow and SEM-Art Gallery, Monaco (2010-2012); “Johnny’s Diary – Photographies de Jean Pigozzi” at Galerie du Jour – Agnes b., Paris (2013); “An Ear for Music, An Eye for Art: The Ahmet Ertegun Collection,” at The Baker Museum, Florida (2013), for the first time in China, in “My World, Jean Pigozzi” at the Ullens Center for Contemporary Art in Beijing (2014); “Johnny’s Pool” at the Gagosian Gallery, New York (2016), at the Galerie Gmurzynska in St. Moritz (2017); and at the Helmut Newton Foundation in Berlin (2017). He is the author of the photography books; Journal of the Seventies (1979), Living Feet (1986), A Short Visit to Planet Earth (1991), Catalogue Déraisonné (2010), Pool Party (2016) and Me+Co (2017). Jean’s first TV show ‘My Friends Call Me Johnny’ was released in 2014 on Esquire Network and is now available on iTunes. Pigozzi is also an avid contemporary art collector. He founded the largest collection of contemporary African art in 1989, known as the Contemporary African Art Collection. The collection is based in Geneva and has been shown in major museums around the world, such as the Museum of Fine Arts, Houston (2005); National Museum of African Art, Washington, D.C. (2005–06); the Guggenheim in Bilbao (2006-2007); Garage Centre for Contemporary Culture, Moscow (2011); CNAC–Le Magasin, Grenoble, France (2011); Foundation Cartier, Paris (2015 -16), and the Louis Vuitton Foundation in Paris (2016). Pigozzi spearheaded the Japigozzi Collection of contemporary Japanese art in 2006, collecting Contemporary Japanese Art by young Japanese artists.